(G I-DLE) Release the teaser of their second mini album 'I MADE's comeback schedule. The (G)I-DLE have started to count down their comeback after revealing their schedule teaser. 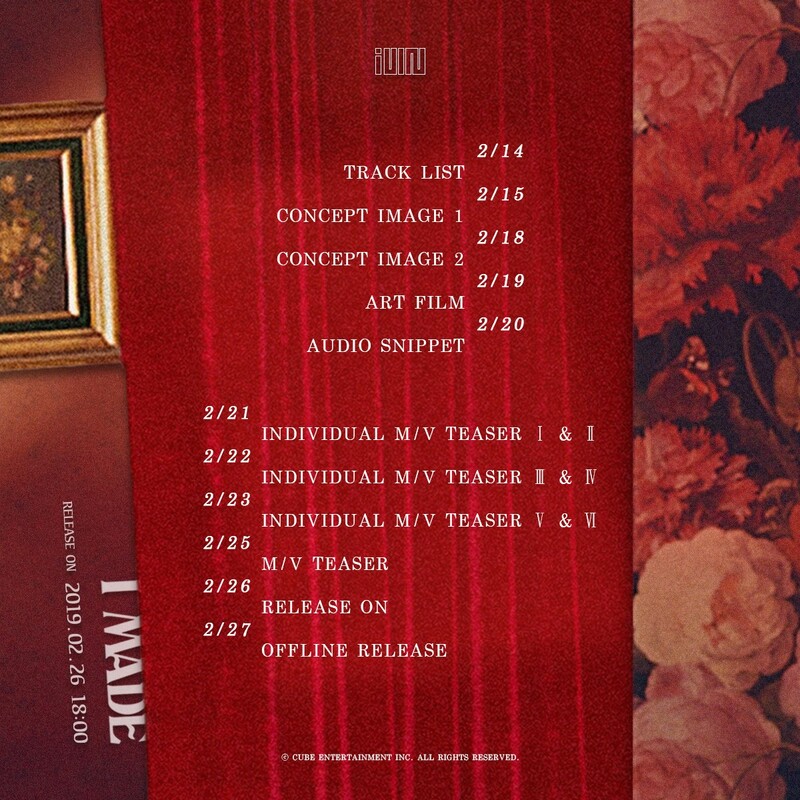 (G)I-DLE released their comeback schedule teaser for their second mini album "I MADE" through their official SNS at 0:00 am. on last 12th. According to the released teaser, concept images, art film, audio teaser, and individual teasers of each member will be opened sequentially starting with the unveiling of the track list on the 14th, and the entire album and music video will be released at 6 pm. on the 26th. (G)I-DLE is meeting with fans through the reality show 'TO NEVERLAND', which is broadcast on CJ ENM Music Digital Studio M2. And also the second mini album "I MADE" will be released on various online music websites at 6 pm. on this coming 26th.